The script allows you to create an unlimited number of website visitor counters. Each of these silently and invisibly counts clicks on any of your web-pages or websites, and records the date/time and IP address of each visitor. The script allows you to create an unlimited number of ad-trackers. Each of these tracks silently and invisibly clicks on your advertising links, records the date/time and IP address of each visitor, before redirecting the user automatically to the landing page or destination page of your choice. The script allows you to create an unlimited of conversion-tests and split-tests. Each of these allows you to measure the conversion rate of one or more sales letters or squeeze pages, and find out what percentage of visitors the letter/page converts into sales or leads. In the case of split-testing you can compare a whole series of sales letters (or squeeze pages) and find the most effective one. The split-testing feature is compatible with most e-commerce systems, including ClickBank. The script also includes a very powerful range of reporting functions that you can use to review your traffic, and which can allow you to detect problems such as competitors repeatedly click on your ads, etc. CB-SwitchTM is designed for merchant using ClickBank to ensure that they can sell at all times, even on the rare occassions when ClickBank is temporarily offline (for example because of server or routing problems). 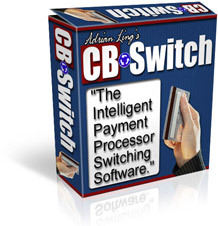 CB-SwitchTM is an intelligent software that uses Clickbank as it's primary payment processor. You can define your own backup payment processor in this software, for example 2CheckOut or PayPal. Whenever a potential buyer clicks on your Order Links, CB-SwitchTM will "detect" if ClickBank is available - if it is, the payment will proceed normally. If it detects that Clickbank is offline, then it will automatically switch over to your backup processor so that you will not lose the sale. This is a system to protect your download area (containing eBooks or software) from freeloaders. Customers can access the download area only after they have paid. This script provides an online shopping cart for your web store. This script helps business owners sell online. Works with Paypal & 2checkout.com. This is a complete web site for DVD rentals. This is a complete web site for renting books, magazines or other materials. MMORPGs are massive multiplayer online role-playing games. This is a complete web site for selling MMORPG relates items online (such as accounts, items, guides, etc.). This script allows you to run a store site using PayPal. This script allows you to sell web site templates (similar to TemplateMonster.com). Compatible with PayPal and 2CheckOut. This script allows you to run your own payment processing service (similar to PayPal). This script allows you to start your own money transfer service that allows PayPal users to send money to people without PayPal accounts. This script allows you to start your own online escrow service. You could use this to provide, for example, Domain Escrow services. This is a shopping cart script compatible with PayPal and AuthorizeNet. Uses a MySQL database. This is a PHP shopping cart script. Uses a MySQL database. PopPhoto is a photo gallery script designed for photographers. You can use the script to sell downloads, photos, prints, T-shirts or other image-based products.